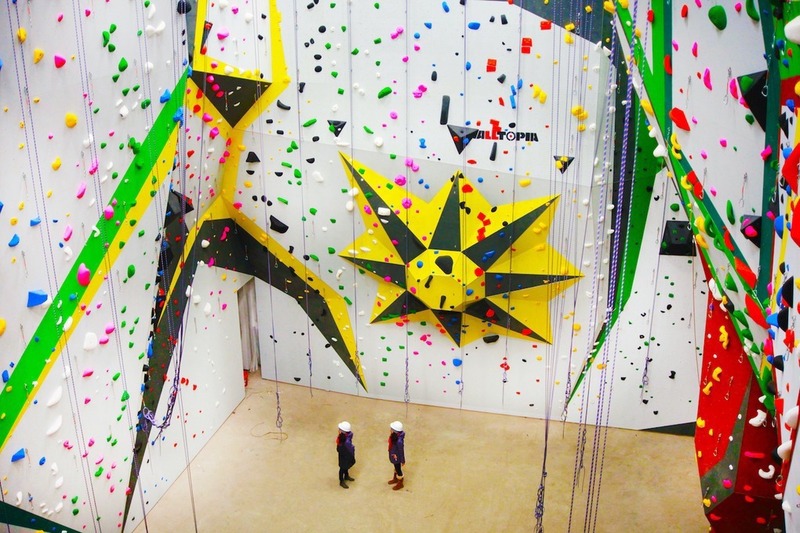 MetroRock Brooklyn, Bushwick’s new indoor rock climbing gym near the Jefferson L-stop at 321 Starr Street, is finally officially open for business. The gym was scheduled to open in February 2018, but was held up by numerous delays. For the last seven months, the gym’s Facebook page has been awash with questions from frustrated customers, demanding to know why the gym wasn’t open. Pat Enright, the owner of MetroRock Brooklyn, told Bushwick Daily that slow contractors and delays with permits from the Department of Buildings and city inspections, were to blame for the gym’s woes. Over the last few months, Enright has been waiting for the city to issue the final permits for the sprinkler systems and other fire safety measures. Getting a climbing gym up-and-running in New York City has been harder than at any of MetroRock’s other locations in Vermont and Massachusetts, Enright says, because of the city’s red-tape. The newly opened 23,000-square-foot gym on Starr Street has room for 147 climbers at a time. A day pass is $30, and a full-year’s membership will set you back $1350. The gym is part of a larger development at 321 Starr St that’s attracting restaurants, medical practices and bars. Joaquin “Quino” Baca, formerly chef at the much-mourned Brooklyn Star restaurant in Williamsburg, recently announced he’ll be opening “Teo,” a new izakaya-style eatery in the building. The former warehouse property at 321 Starr Street was bought by Cayuga Capital Management in 2015 for $9 million.